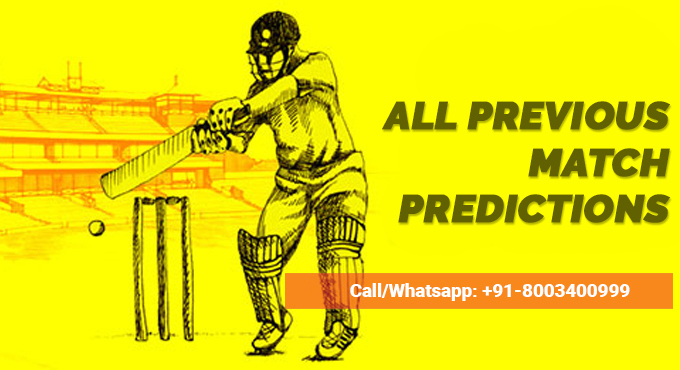 Disclaimer: All Cricket Prediction published or given on website are intended for general interest only & should not be used for Betting purpose. Rajasthan Royals vs Mumbai Indians playing 36th match at Indian Premier League 2019 In Sawai Mansingh Stadium, Jaipur. Both teams try to hard win this match This Match Gonna Be very very interesting. Expected Playing XI For Rajasthan: Rahul Tripathi, Jos Buttler, Sanju Samson (wk), Ajinkya Rahane (c), Steve Smith/Ben Stokes, Ashton Turner, Stuart Binny, Mahipal Lomror, Shreyas Gopal, Jofra Archer, Dhawal Kulkarni. Delhi Capitals vs Kings XI Punjab playing 37th match at Indian Premier League 2019 In Feroz Shah Kotla, Delhi. Both teams try to hard win this match This Match Gonna Be very very interesting. 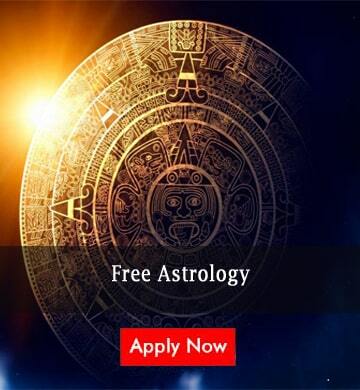 accurate cricket prediction through astrology for all cricket matches. know more ? 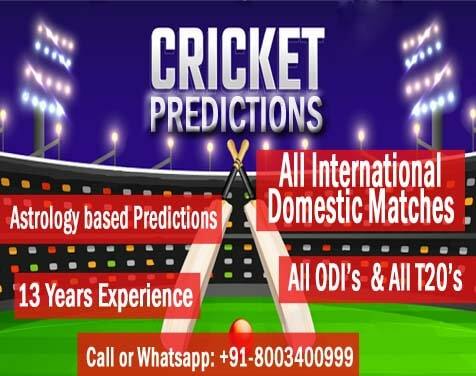 We are providing the precise and Accurate Cricket Prediction through Astrology for all cricket matches throughout the world. Cricket events are taking place all over the world throughout the year. 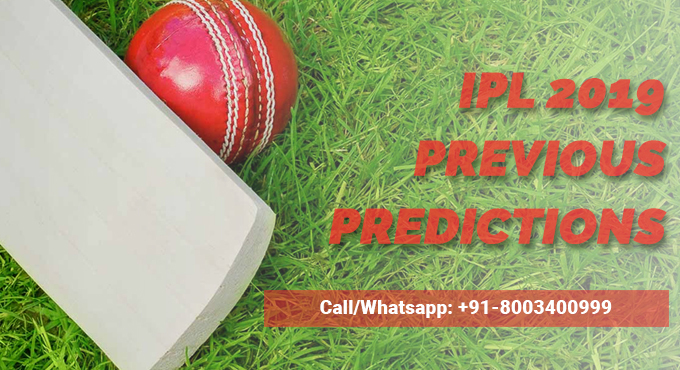 Cricket lovers' enjoyment and entertainment are on top with these predictions to plan various tactics and strategy. 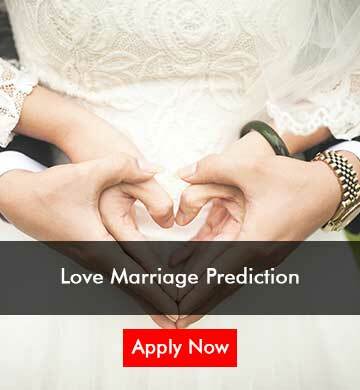 You can get all Today Astro Match Prediction, player's performance prediction, Ball by Ball Prediction through all ways of communication, either telephone, Social Media, Webmail etc. 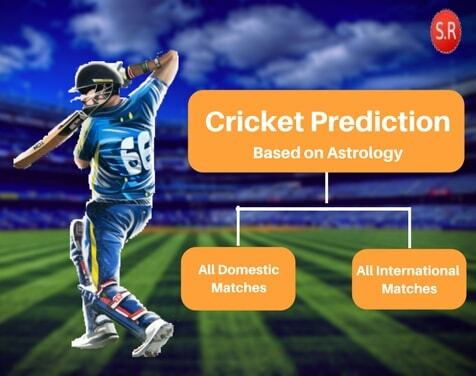 We can only provide prediction after the captain's decision at the toss through astrological software with the guidance of Best Cricket Match Predictor. We are taking much proud to be in most favored amongst cricket fans. 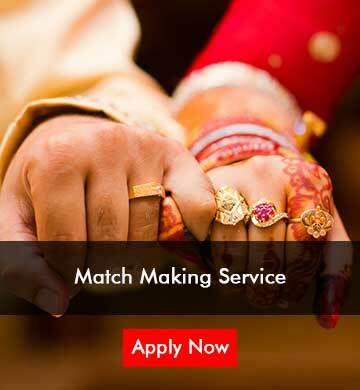 Cricket fans always got the complete satisfaction with our services. 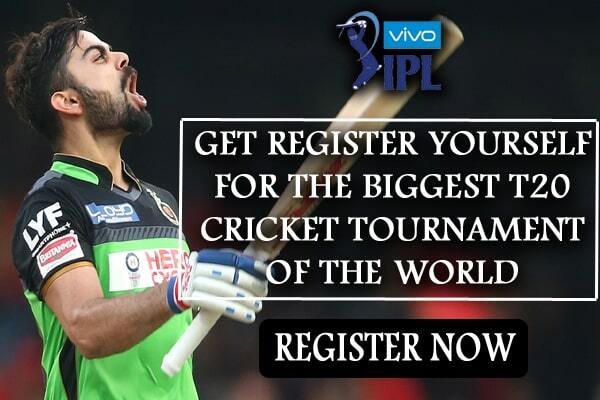 We are covering all ICC tournaments, Two nations series, Triangular, quadrangular series, IPL, CPL, Big Bash League, BPL etc. 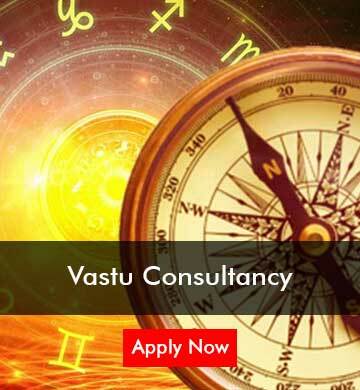 Our Expert Cricket Astrologer highly experienced to provide satisfactory and accurate prediction. 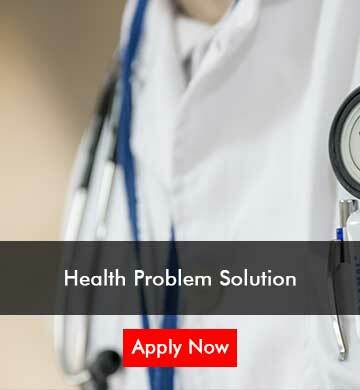 We are having client base from all over the world and going strong day by day. 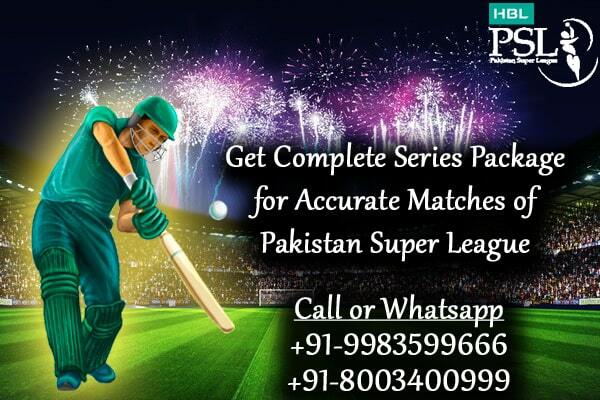 Get Cricket Matches Prediction, Current Matches Predictions, Forthcoming Matches Predictions, Weather Prediction. 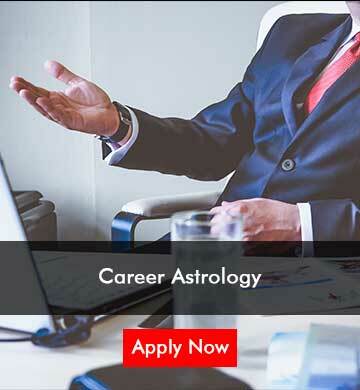 Book an appointment or consultancy on +91-9649433699, +91-8696991661, +91-9983599666, +91-9983599666 between 10:30am to 6:30 pm, Monday to Saturday. Rajiv Gandhi International Stadium helps Spinners and Flat track makes it Unpredictable. Sunrisers Hyderabad vs Rajasthan Royals playing their 2nd match at Indian Premier League 2019 In Rajiv Gandhi International Stadium, Hyderabad. Both teams lost their 1st match in this session, Both teams are try to hard win this match. This Match Gonna Be very very interesting.